The ancient paintings of Kerala had its origins in cave paintings and carvings. The ancient wall paintings are mainly seen in places of worship such as temples. Kalamezhuthu, a ritual art in which the pictures of Gods and Goddesses are drawn on the floor using coloured powders, is another system of painting prevalent in Kerala. The unique features of folk painting techniques can be seen in these ritual art forms. 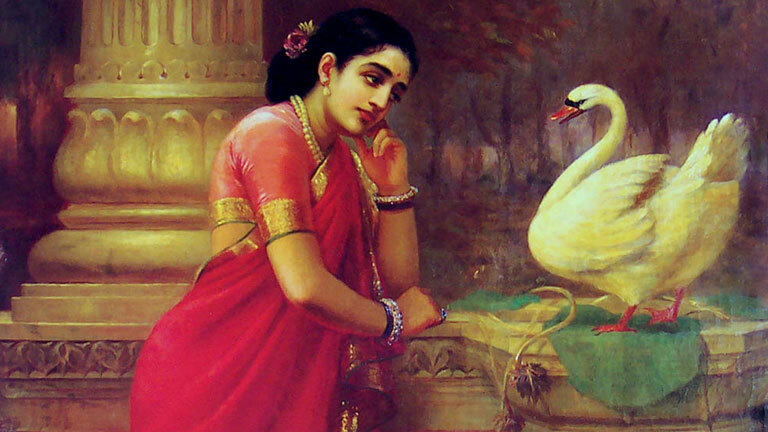 Modern painting styles were introduced through the paintings of Raja Ravi Varma, who is also regarded as the founder of modern Indian painting. There are a number of modern artists including C. Rajarajavarma, Mangalabhai Thampuratti, K. Ramavarmaraja, K. Madhava Menon, V. S. Valiyathan, C.V. Balan Nair, P.J. Cherian, K.C.S. Panikker, C.K.Ra, M. V. Devan, K. V. Haridasan, A.C.K.Raja, P.I. Ittoop, M. Raman, T.K. Padmini, P. Gangadharan, A. Ramachandran, Akkitham Narayanan and Paris Viswanathan. The excellence of ancient sculptures is clearly seen in wooden sculptures, stone/metal idols, lamps and vessels. Though remarkable wooden figurines and idols are mostly seen in temples, the old sculpting skill is seen also in ancient churches. Kerala has contributed many skilful artists to the field of modern sculpture -- Kanai Kunjuraman, and N.N Rimson among many others.